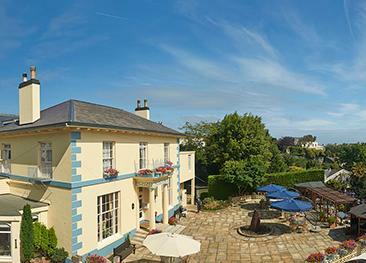 La Piette Hotel is the only seafront hotel in St. Peter Port, providing stunning views of the neighbouring islands of Herm, Jethou and Sark and on clear days Alderney, Jersey and the French coast. 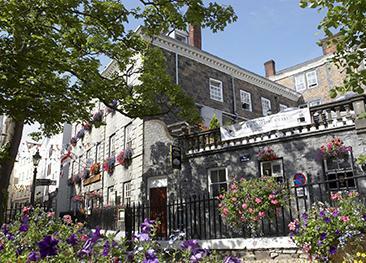 The hotel dates back to the 1700’s with many of its original architectural features remaining including a magnificent carved wooden fireplace, rumoured to have come from the town church in 1870. Over the years the hotel has been extended and improved and there is now a mix of contemporary and original styles throughout. There is a mix of old style and contemporary bedrooms some with sea views. The garden view rooms overlook the pretty walled garden which is popularwith locals for al fresco dining in the summer months. All rooms are en-suite and equipped with colour TV, telephone, trouser press, tea & coffee making facilitiesand Wi-Fi facilities. The Bistro at La Piette Hotel is open to both hotel residents and non residents all year round for breakfast, lunch and dinner. La Piette uses local fruit, vegetables, fish and meat whenever possible. The Sea View Bar and Terraces are the perfect place to chill and watch the world go by. Open all day the Sea View Bar serves lunch and dinner with daily specials and also offers a wide range of light snacks and fresh baked pizzas. 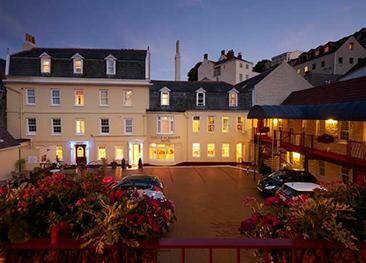 La Piette Hotel is ideally situated just a five minute stroll along the seafront to St Peter Port with it’s picturesque harbours, quaint cobbled streets, restaurants and shopping area. Dogs are accepted in some garden rooms on a request basis at a charge of £10.00 per dog per night and provided with a water bowl and biscuits. Dogs are not permitted in the main hotel. Great service, friendly and helpful staff. Breakfast excellent and meals in Bistro good bistro-type food. Room was clean and comfortable. Good hotel on sea front. Friendly staff and good kitchen. Excellent service, ideal location, food value for money. Only suggestion would be that the house-keepers knock before entering the room, as we were in the room and the door opened which took us by surprise. Charming hotel, excellent Bistro. The Bistro is popular with tourists and locals, the staff are warm and friendly too. Good all round service on reception, in restaurant, and in rooms.